How to get rid of sunspots?Sunspots, also known as solar lentigines, dark spots, brown spots, or liver spots, are the flat brown spot on your skin which is a result of exposure to the sun for long time.The skin produces a huge amount of melanocytes because of the prolonged exposure to ultra violet rays.As a result, the skin becomes darker. Sometimes the sunspots may also be known as age spots since people tend to get it more as they grow older.Sunspots can appear on your back ,face, nose, ears, arms, hands, shoulder etc.They are usually brown, red, or pink and flat or scaly. The spots are usually not harmful but you may feel itch when you’re in the sun.Do you want to know how to get rid of your sunspots on skin? Here are some best remedies to help you remove sunspots fast. It is possible that you already know that lemon is good for the skin care. It has antibacterial and antiviral properties which help prevent bacterial and remove dead skin cells.Lemon contains vitamin C and mild acid which help lighten dark spots so that they may be reduced and the skin will revert back to its normal color. Squeeze half of the fresh lemon.Place the juice directly on the sun spots.Leave on the skin for about 10 to 15 minutes.Do this every day until the sun spots start to fade. You can also mix one tablespoon of lemon juice with one teaspoon of honey to make a spreadable paste and use it on the affected areas.Leave it on for 5 to 10 minutes, and then wash it off with lukewarm water.You can do this 2-3 times a week. 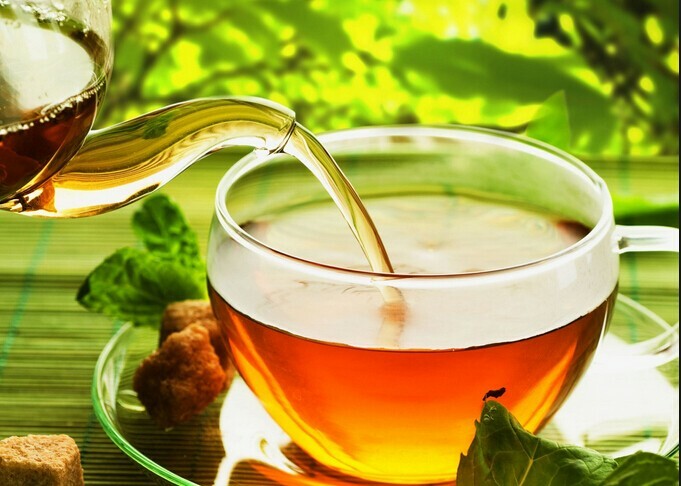 Green tea has started to become popular recently. Aside from the fact that people like it tastes, it also has a lot of great benefits. Green tea has a lot of antioxidants that can help take away the toxins found on the skin and help lighten the sunspots on skin naturally. Place the tea bag into a cup of hot water. Leave it there for about 5 to 10 minutes. Let the tea cool down after removing the tea bag. Dip a clean cotton swab in the tea and apply it on the sunspots. Do this every day until the sun spots on face start to disappear. Aside from the fact buttermilk can make foods become delicious, it can also provide help for the skin care. Buttermilk contains lactic acid which help exfoliate the skin and remove the dead skin layer to reveal the new skin layer underneath. In addtional, it can moisturize the skin naturally. Dig a cotton ball in the buttermilk and apply it directly on the spots. Leave it on for 10-15 minutes and wash off with water. Do this twice a day until you see some results. 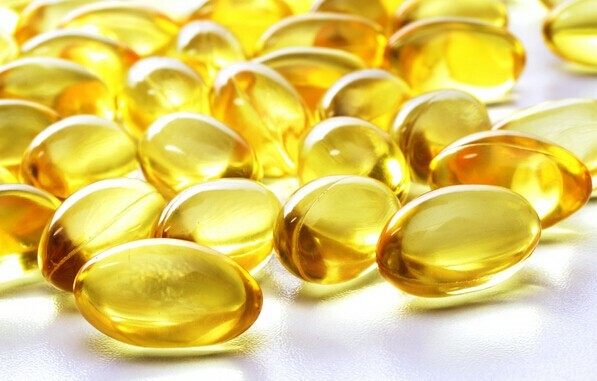 Do you know that Vitamin E is very beneficial for sunspots because it is a fat-soluble vitamin. Vitamin E contains powerful antioxidant properties which help smooth the skin. Aside from sunspots, it can also help repair damaged tissue to fade bruises and scars naturally. Open Vitamin E capsules and Place the gel from the capsule directly on the sunspots. Massage gently with your fingers and leave it overnight. Do this every night until you see your sun spots on face start to fade. Castor oil is known to be a good home remedy that can be used for different things. From stomach problems to various skin problems, it is not a surprise anymore that castor oil can be used to get rid of sunspots as well.Castor oil contains essential fatty acids which will give you an even skin tone and smooth skin. Place some castor oil on the cotton ball. Place the cotton ball directly on the sunspots and gently massage for 3-5 minutes. Wait for about 3 – 4 hours and wash off with cold water. Do this twice a day. You can do this once in the morning and once at night. Apple cider vinegar has a lot of good properties that can help get rid of various skin problems.It contains acids which help exfoliate darkened and damaged skin cells.It also help get rid of the pimples,scars and other blemishes. 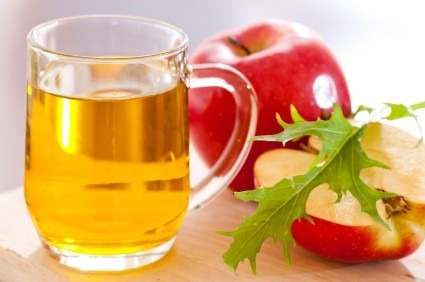 Place a tablespoon of apple cider vinegar and a tablespoon of water. Place the mixture on the sunspots and leave it on for about 2 hours. Do this once every day. 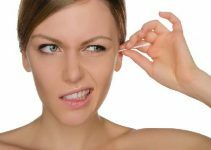 Do remember not to do it too much because this can irritate your skin. You can also add some orange juice for a better result. Red onion has various properties that can help make sunspots and other age related spots fade away over time. The acidity of the onion can also help in the reduction of other skin problems. Slice a red onion in half. Place one half of the red onion on the sunspots. Rub the red onion gently on the skin. Leave the onion juice on the skin for a few hours. 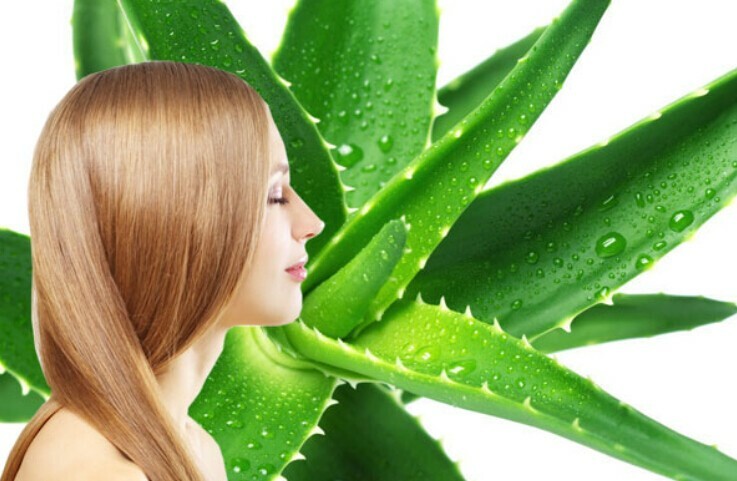 Aloe Vera is better known to be an ingredient that is usually placed on hair products in order to make the hair better but a lot of people do not know it can also help the skin.This is because Aloe Vera contains aloe vera gel which help unclogs the skin pores and removes the dead skin cells.It also help brighten and lightens the sunspots on your skin. Cut the Aloe Vera leaf in half. Place the aloe vera gel on the sunspots and leave on for half an hour. Do this twice a day. You may do it once before noon and the other one before going to sleep at night. Do this process until you notice a difference with your sunspots. Do you know that Papaya is actually one of the ingredients of soaps that are meant for whitening? Papaya contains enzymes that can help exfoliate the skin to remove dead skin cells. This can also reduce age spots, acne scars and other skin problems. Slice papaya and mash it. Place the papaya paste on the sunspots. Leave on the skin for about 20 – 30 minutes. Wash the area with warm water. Do remember to use warm and not hot water since this can harm the skin. While yogurt is known as a dietary product and something that can be used for digestion, however,yogurt can also be used for the skin. 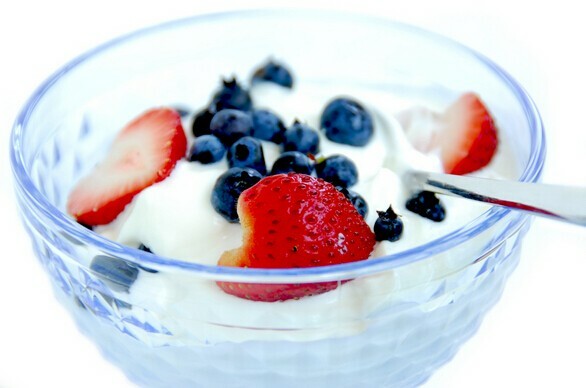 Yogurt has bleaching properties so it can normally fade away the sunspots over time. Place yogurt directly on the skin. Leave it on the face for a few minutes and let the yogurt dry. Try over-the-counter products such as products that contain kojic acid or azelaic acid.These acid come from grains such as wheat or rye.They can reduce the hyperpigmentation and help fade dark spots.You can also use hydroquinone as a spot remover,but you’d better consult your doctor before using it as it has some controversy. Ask your doctor to see if you can be prescribed a tretinoin drug which can help fade the sunspots. Chemical Peels or Anti-Tan Facials are effective treatments for sun spots on face.Chemical Peels can help you fade hyperpigmentation and remove the top layers of skin.However,there is a side effect that your skin will be red for several days.You’d better try this with the help of a experienced dermatologist. If you have a lot of sunspots,laser surgery may be an option for you.It is fast, easy and painless.However, this type of surgery is very expensive and need several weeks to fully recover. It is important to visit a reputable doctor for the best results. You can also try microdermabrasion.This method can help remove the dead cells from the outermost layers of the skin.You will need to have microdermabrasion about three times to remove them entirely. Many day spas offer this procedure. Whitening cream is one of the cheapest and easiest options to get rid of sunspots. You’d better ask for a whitening cream from the dermatologist, which is the the most effective.Remember to follow the instructions to avoid further damage to your skin. Read: How to Get Rid of Brown Spots on the Face Fast? Apply Sunscreen Generously– Exposing your skin to the sun is the main cause of sun spots on face.This is obvious however do you know that most people do not apply enough sunscreen.This is also a important reason for sunspots. Especially when you are taking part in outdoor activities,you should apply the sunscreen generously.In addition,you’d better choose a sunscreen that suits your skin type with an SPF of at least 30. You do not have to worry it will clog your skin pores and cause breakouts.Remember that sun damage occurs all year long, so you should wear sunscreen even during the winter months. Keep Skin Cool-It’s important to keep the skin as cool as possible,since the overheated temperature of the skin can increase melanin activity which will lead to sunspots and redness. You can keep a gel-based mask in the refrigerator for 10 minutes and apply it on for 5 minutes.This will help cool and moisturizes the overheated skin. Wear a Hat- This may be the easiest way to protect your face skin from sun damage.A hat will help limit direct sun exposure and provide shading for the face.You can also use an umbrella instead. Eat More Fruits and Vegetables-Some fruits and vegetables rich in antioxidants such as spinach,carrots, kale and sweet potatoes can effective protect your skin from sun damage. A study from the American Academy of Dermatology show that consuming 1,000 IU of vitamin E and 2,000 mg of vitamin C a day for at least 10 days can reduce the chance of sunburn significantly. With all of these things that you can do to get rid of your sunspots, you will most likely get rid of them over time.